Repetitive Patterns in the Money Supply – Will Coins Become Extinct? Inflation over time raises the cost of raw metal and we see that such coins vanish from the money supply. 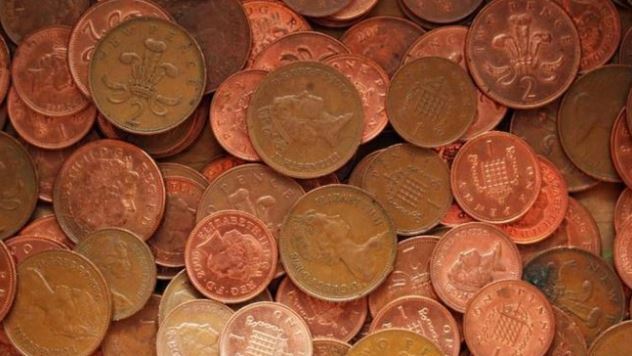 Britain is the latest in line to eliminate the 1 & 2 pence coins. They are costing more to produce than they are worth. I have written about the monetary reform Act of 1857 when the penny was drastically reduced in size. Canada eliminated the penny as well. 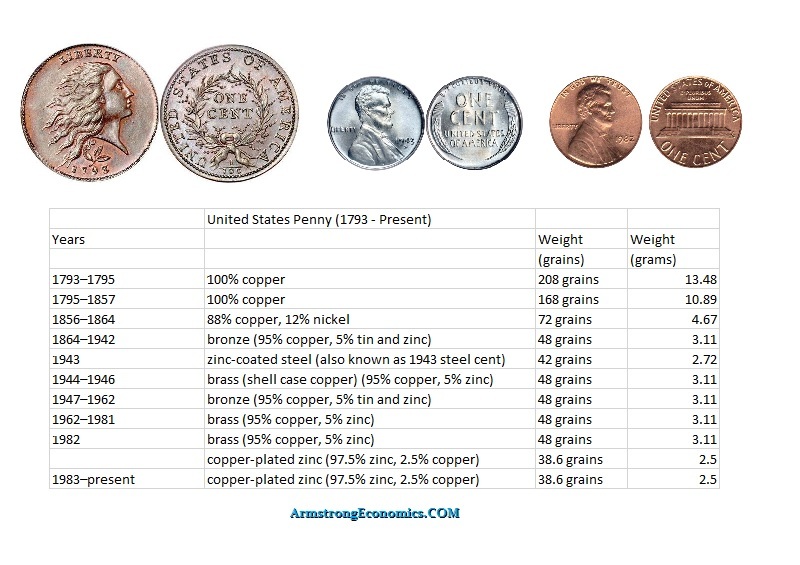 The United States dropped copper from the penny in 1982. Today, the penny is made of 97.5% zinc. It is copper-plated to give the appearance that it is still really copper. Throughout history, the supply of copper, gold, and silver, have all risen and fallen at different times based on their own cycle. Where the Persians had excess gold, the Greeks only had silver mines. 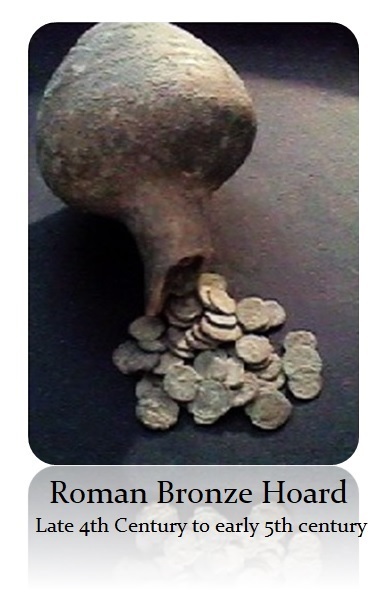 The Romans had neither silver nor gold and began their monetary system with bronze. We can see how the three empires began with gold, then silver, and finally bronze and modern society turned to paper starting with the Chinese during the 13th century. The main coin of the Persians was known as the gold Daric, whereas the dominant coinage among the Greeks was the silver Athens tetradrachm known as the Owl. 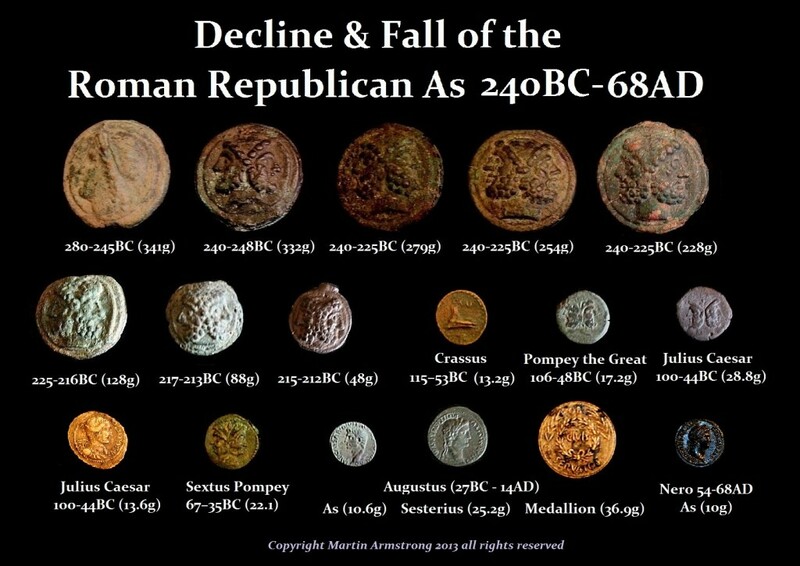 The Romans were the last to depart from the Bronze Age. Their coinage remained bronze until silver was introduced and struck in Greek denominations beginning in 280BC, which was just one 51.6-year wave from Alexander the Great (336-323BC). We can see the same process of the rising cost of copper that prevailed during the early Roman Republic. The Roman As drops from 280BC with a weight of 341 grams to 10.6 grams by the time of Augustus (27BC-14AD). The drastic decline was been 280BC and 115BC, which was about 19 waves of 8.6-years. While we see the same process of a decline in Roman silver denarius into the 3rd century, what emerges is always the effort to reform. 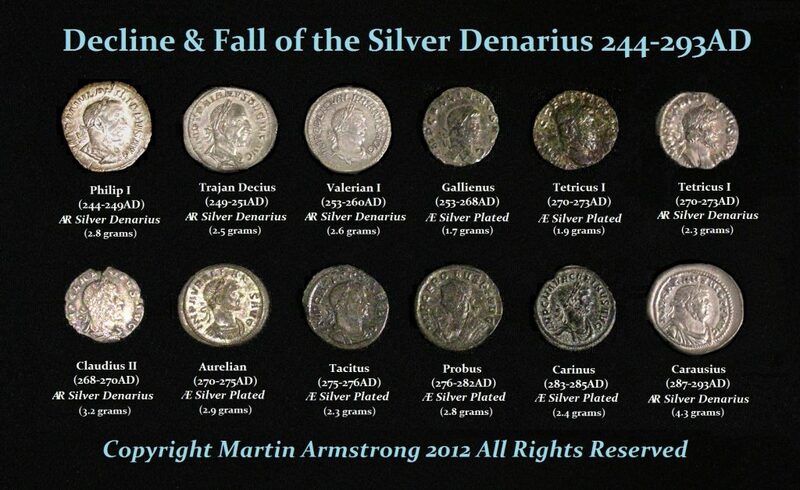 The Roman Emperor Diocletian (284-305AD) reintroduced silver coinage as well as bronze. Once again, we see the gradual reduction in the bronze coinage while the silver and gold were not affected. The bronze coinage simply keeps reducing as we see what is going on today. In 348 AD, a new bronze denomination was also introduced known as the “centenionalis” in a monetary reform carried out by Constantius II (337-361AD) with an initial weight of 6.6 grams. The weight almost immediately began to decline rapidly to 4.3 grams. He also introduced the half-centenionalis, which seems to continue to be produced and eventually becomes the standard until about 360AD. 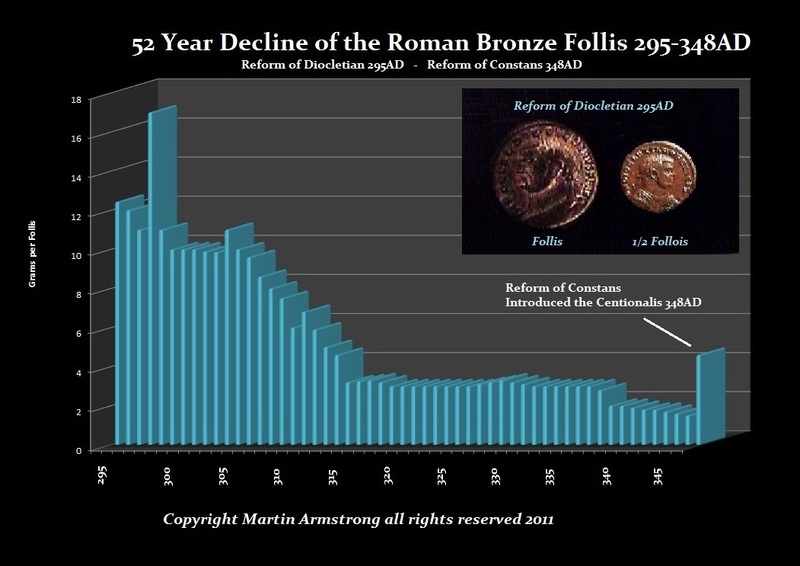 Despite the noble effort, the inflationary trend continued and the value of bronze kept rising forcing the discontinuation of this denomination 354 AD after just 6 years (one volatility cycle). This was then replaced by the reduced bronze denomination of about half the weight known today simply as the AE3 or half-centenionalis. 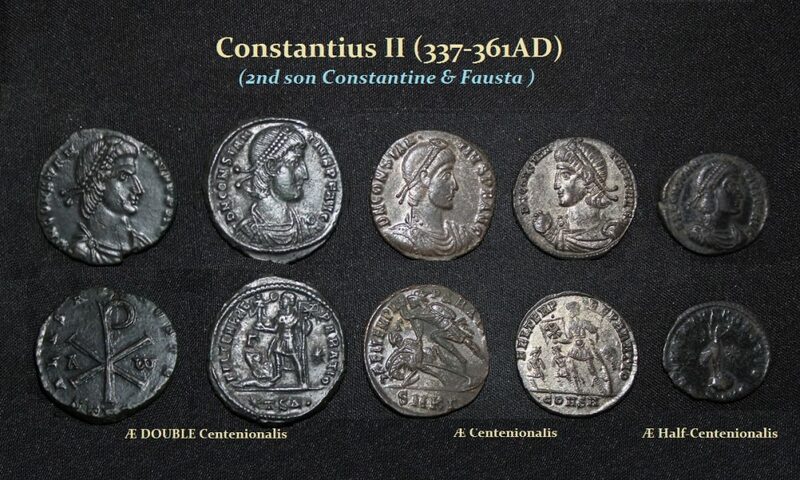 During the reign of Julian II (360-363AD), he attempts yet another monetary reform trying to restore the original Folles of Diocletian known as a Double Centenionalis or a Majorina. This new denomination bronze denomination was 28mm in diameter with a weight of 8 grams. This monetary reform lasted unmolested until about the reign of Arcadius (383-408AD). For about 19 years, the Double Centenionalis remained fairly true to its weight. When we see once again usurpers begin to rise in the West such as Magnus Maximus (383-388AD) in Britain and the usurper in Rome itself of Eugenius (392-394AD) where the bronze coinage is reduced to a tiny token with a weight of 0.94 grams. From about 400AD until the final collapse of Rome in the West during 476AD, bronze coinage is poorly struck and typically only tiny 1 gram coins. 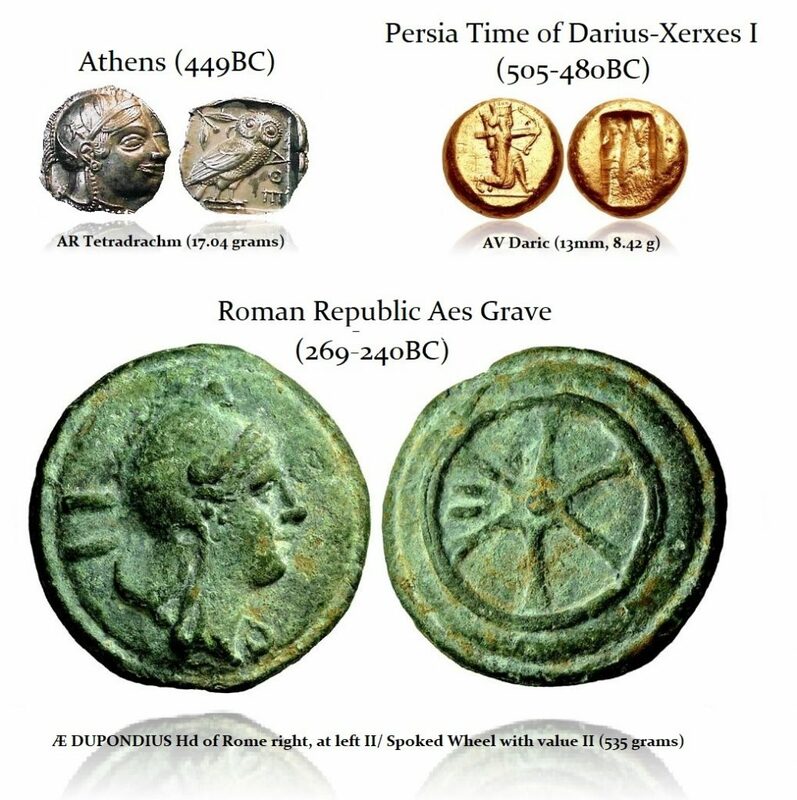 Many emperors did not even strike bronze coinage. When the Vandals from North Africa invade and sack Rome3 during 455AD, the word today is still used “vandalize” which refers to the events at that time. Copper was scarce so the Vandals stripped the roofs of Roman buildings which had been adorn in copper to shine brightly as if it were gold. Therefore, throughout history, the cycles between the three metals are significantly different and thus we see periods during which bronze is rarer than gold or silver and at times each metal comes into excess supply and shortages. This is one primary reason any attempt to establish fixed ratios has always failed without exception. We are following the same path. Soon, all metal will be worth too much to use for coins.